ORGANIC LYCOPENE is a dietary supplement with lycopene extracted from organic tomatoes with patented technology and without the use of chemical solvents. 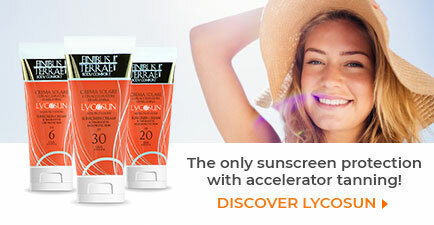 It helps to protect the cells from the dangerous effects of the free radicals. Pack :30, 60, 90 capsules in pillbox. ORGANIC LYCOPENE is a dietary supplement with lycopene extracted from organic tomatoes with patented technology and without the use of chemical solvents (International Patent WO 2008 015490A1). Thanks to its anti oxidant activity, Lycopene helps to reduce the oxidative stress and protects low density lipoproteins (LDL) from the free radicals, therefore Natural Lycopene can contribute to the lipid balanced through a reduction of the oxidative stress. Together with other antioxidants such as Vitamin E, Lycopene acts as scavenger of the free radicals, which are the main cause of the damages from oxidative stress. Lycopene is the anti oxidant par excellence which belongs to the carotenoids family. 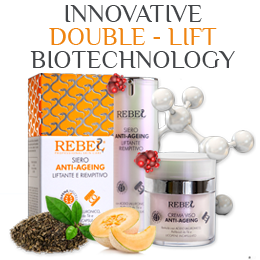 It helps to protect the cells from the dangerous effects of the free radicals, which can damage the cells and contribute to the onset of cardiovascular diseases and certain forms of cancer. Researches show its benefits towards a good functionality of the prostate in men. Researches, also, show different benefits towards male and female fertility growth, togheter with a decalcification slowdown of the bones during menopause in women. Lycopene also helps to prevent the risks caused by the environmental exposure to damaging agents, such as the smoke of cigarettes, environmental pollution, ultraviolet radiations from the sun. 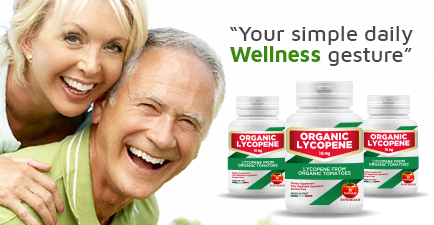 ORGANIC LYCOPENE is a dietary supplement based on Lycopene (10 mg) extracted from tomatoes together with the synergic action of Vitamin E. As demonstrated by science and a great number of clinical studies, an organic product which is 100% natural provides several benefits to the user: HIGHER BIOAVAILABILITY, DIGESTIBILITY AND COMPATIBILITY. Organic Lycopene in this formula has certainly demonstrated its highest ability to counteract the free radicals; the total absence of chemical synthesis compounds allows a higher effectiveness and higher digestibility and, moreover, ORGANIC LYCOPENE provides a higher protection against the oxidative stress, because it is 100% compatible with the human body, as it is not artificially manipulated or contaminated by toxic elements. The Lycopene used, extracted from organic tomatoes through Supercritical CO2 without the use of chemical solvents, shows a high bioavailability, total absence of toxicity, and it is the only 100% natural lycopene. This product is also compatible with a vegetarian/vegan diet since it is entirely composed of vegetable extracts and devoid of synthetic elements. ORGANIC LYCOPENE has obtained the Organic Certificate (IT-BIO-006 PL-0328 EU AGRICULTURE) and the Halal Certificate. The request for a Kosher Certificate is in progress. HOW TO USE: It is recommended to take 1 (one) capsule a day after the main meal. ADVISORY NOTICE: This product should be used in the context of a varied and balanced diet and a healthy lifestyle. Do not exceed the recommended daily intake. Keep away from the reach of children under 3 years old. Store in a cool and dry area, keep away from direct sunlight. The expiry date refers to correctly stored and intact product. INGREDIENTS: Organic lycopene from tomato fruit (Solanum Lycopersicum); Tocopheril (Vitamin E) rich extract, from organic vegetable oils (E306). Excipients NON OGM (Organic Lecithin, Organic Vegetable Oils). Shell: Hydroxymethylcellulose.